The Ebola outbreak which began in August in the north of the Democratic Republic of Congo (DRC) is under control as no new cases have been detected after the last confirmed infection on 4 October in the town of Boende. Having deployed 70 staff in the area, Médecins Sans Frontières/Doctors Without Border (MSF) has now withdrawn its teams. According to the World Health Organisation, the outbreak in DRC infected 66 people, 49 of whom died. Usually, an Ebola outbreak is officially considered over after 42 days without a case. “At MSF, we try our best to secure an effective and forceful response in the event of a new outbreak. In Congo, we worked with local authorities to maintain an operational treatment centre in Equateur. We also made a donation of medicines and equipment for water and sanitation, and the staff are the same people who worked during this last outbreak, so they are well trained,” he adds. Bolakofo Konga Yule survived the infection after treatment in the Lokolia Ebola center. Coming back to the community is a very sensitive step and family support is essential. 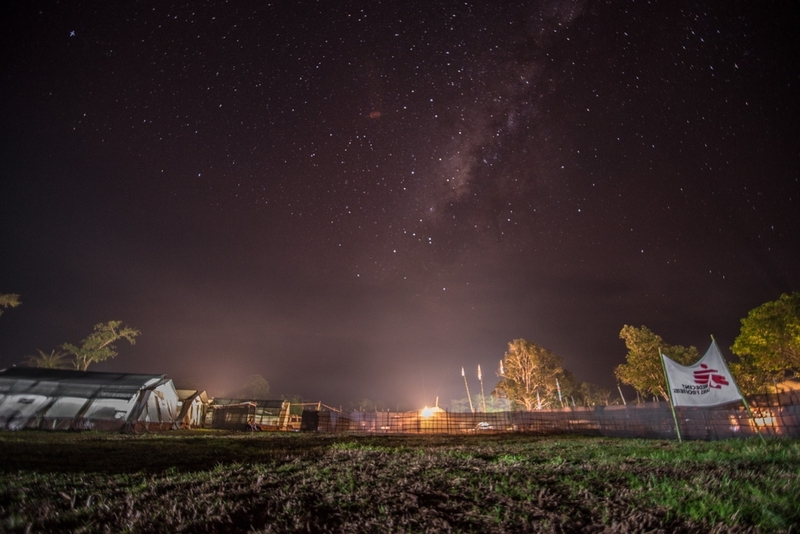 Despite the withdrawal, MSF has teams stationed in other parts of DRC who could return to the area in case of a new alert. One of those teams is located in the nearby city of Mbandaka, by the Congo River, from where emergency response can be activated if necessary. This outbreak has been registered in the province of Equateur, where in 1976 a new virus was first identified and named after a tributary of the Congo, the Ebola. The MSF intervention started last July when a survey team was sent to confirm the presence of Ebola in the area. After the outbreak was officially declared, two treatment centres were set up in collaboration with the Congolese government in the towns of Lokolia and Boende. Of the 65 people admitted to the centres, 25 were confirmed as having Ebola; 13 recovered and 12 died. Besides running the treatment centres, MSF teams also performed other tasks such as tracking those who came into contact with the patients resulting in more than 1,000 people followed, the disinfection of houses, and support for safe burials. Sensitising the local community about the risks of the virus was a priority. "Fear is always a problem in an Ebola outbreak. There is a lot of misunderstanding, lots of rumours and misinformation. And information is precisely what it takes to understand the disease and cope with the epidemic," remarks Segimon Garcia, anthropologist and coordinator of the MSF health promotion team in this intervention. A hygienist decontaminating his boots inside Boende Ebola treatment centre. The usual fears aroused by any Ebola epidemic have been accentuated by the unprecedented outbreak in West Africa. The potential economic effects of government actions to tackle the epidemic created concern and caused rejection among the local population. Unlike the situation in the west of the continent however, the outbreak in DRC - the seventh in this country's history - has been what experts consider a classic outbreak, located in a remote area far from urban centres. "In Congo, there had previously been several Ebola outbreaks but they were curbed because, among other reasons, they were in the middle of the jungle. Distances are greater there, transportation is more difficult and people cannot move that much, so the outbreak remains limited and contamination is more difficult. In these conditions, the risk of dissemination of the virus is much lower," declares Núria Carrera, coordinator at the Boende treatment centre. In addition to the geographical factor, there was also an appropriate response that managed to contain the epidemic at an early stage. “Containment measures such as contact tracing, an alert system and the medical care of the patients were taken at the right time," says Mas.